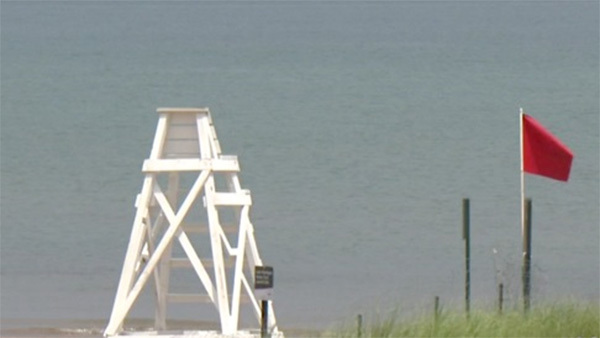 CHICAGO (WLS) -- Beachgoers are being urged to stay out of the water after the National Weather Service issued a Beach Hazard Statement for strong winds on Lake Michigan in the Chicago area. Weather officials say strong northeast winds, which are expected to gust at 20-25 mph, will flow across the lake and bring high surf to some Chicago-area beaches. The conditions may include strong rip currents and waves of 3-5 feet. The Office of Emergency Management and Communications says exposed beaches are more likely to experience current impacts, and that swimmers and boaters should also be on alert.